If you need builders in Norwich then come to the experts at N J Hazell Building Services. N J Hazell Building Services was formed in 1992 by Nigel Hazell, Master Builder and the company grew to become a Limited company by 2005, and is now a growing concern. The now fully established company covers all aspects of building and construction work and no job is too big or too small. With 30 years of experience in the building trade and an extensive customer base, we aim to provide a full and comprehensive service with a friendly approach at all times. We have a team of fully qualified, professional tradesmen so that we are able to manage every aspect of each job, and provide all relevant certification to comply with building regulations and all appropriate guarantees. Starting with a free initial consultation and quote, we offer a full range of services from new builds, extensions, loft conversions and refurbishments through to general building and maintenance. Each job is project managed by us from start to finish and our aim is to provide the highest level of customer service and attention to detail. We have the experience to offer advice from the initial planning stages, right through to internal decor, and do so with each customer's personal circumstances and budget in mind. We work closely with our local partners within the trade to get the best possible rates to pass on to our customers. We have an exemplary track record and customer satisfaction is of the upmost importance, as is our own job satisfaction. A large proportion of our work is obtained through recommendations from our valued customers which is something we are very proud of. 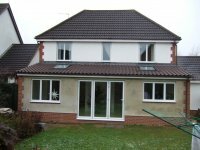 We cover all areas of Norfolk and borders of Suffolk, so, whether you need builders in Norwich or help with house extensions in Norfolk contact us today to discuss your requirements and find out how we can help.